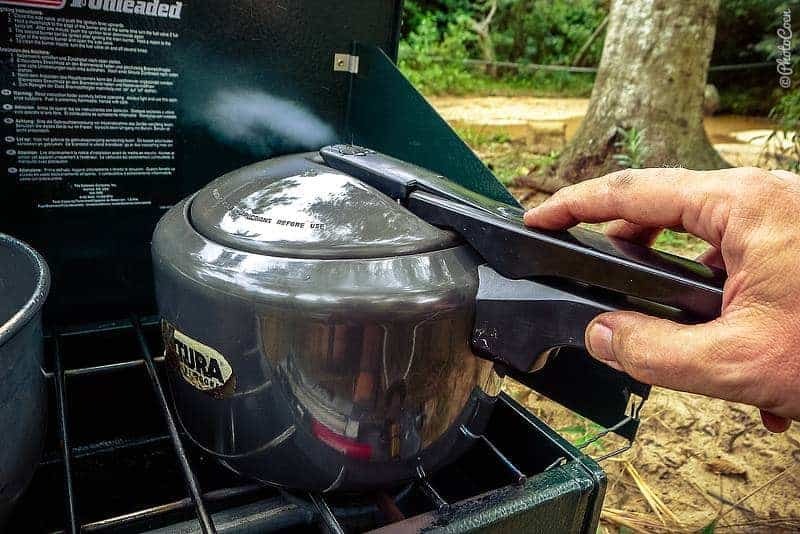 It’s fun hearing about other overlanders who are just as enthusiastic about their pressure cooker as we are, and we hear from quite a few who bought one after having talked to us. I hope the pressure cooker brings you just as much joy as it does us. There’s nothing better than an easy yet delicious meal. 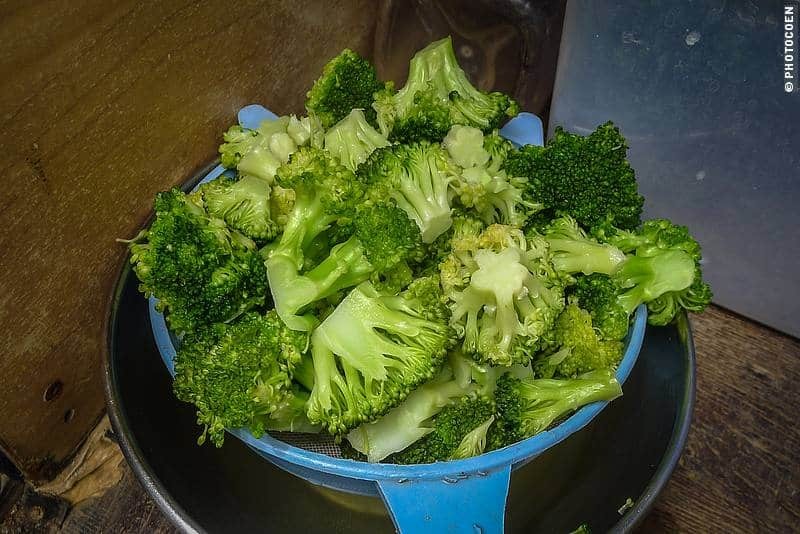 Here’s something very simple but something we’d like to recommend: steaming your vegetables in the pressure cooker. You’ll find that vegetables, including potatoes (especially potatoes, I should say), have much richer taste than you thought they had. 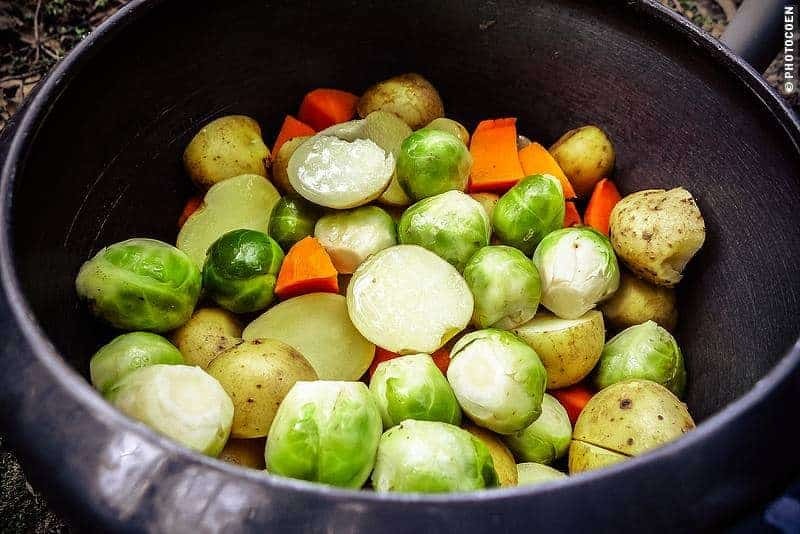 Steaming vegetables in a pressure cooker takes minimal time and minimal water. Both are perfect when traveling. On the discussion boiled vs. steamed, see e.g. this article. Note that steaming times may vary per pressure cooker, but in our Futura Hawkins Pressure Cooker we use about ½ cup of water and put in the grid that comes with the pan. 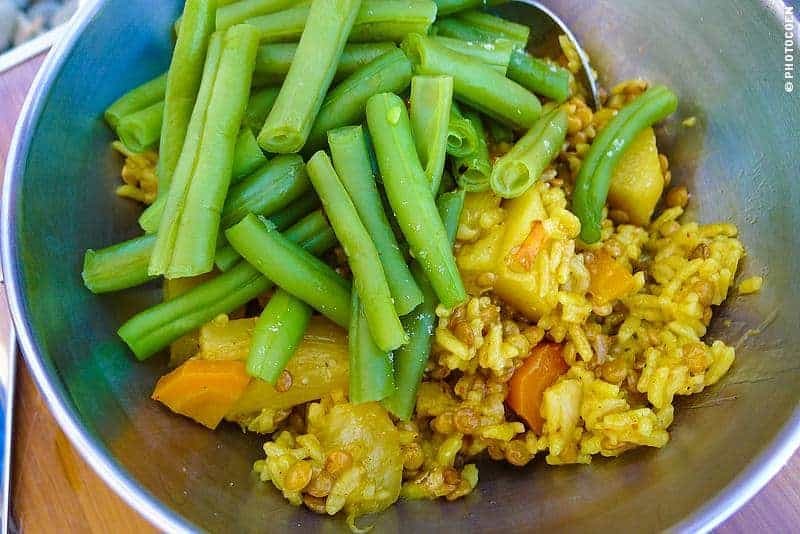 We fill the cooker with vegetables, steam them and have a splendid meal within minutes. 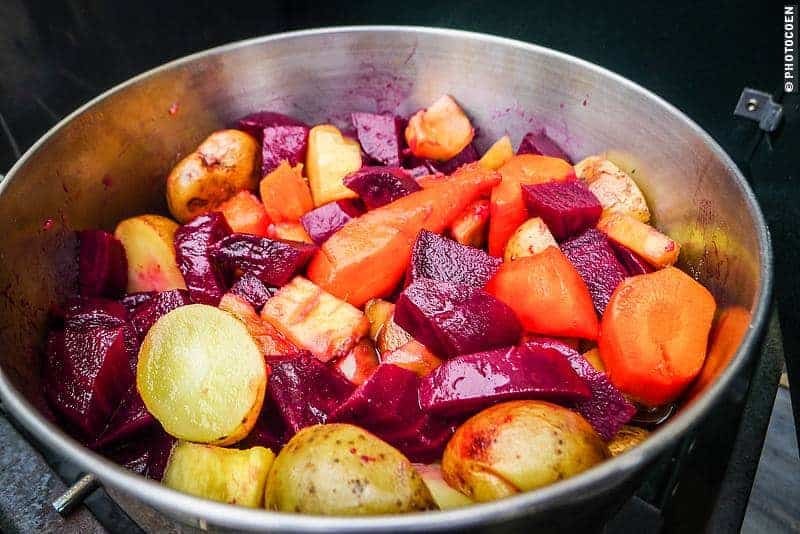 Potatoes cut into very small chunks – steam about 2 minutes. 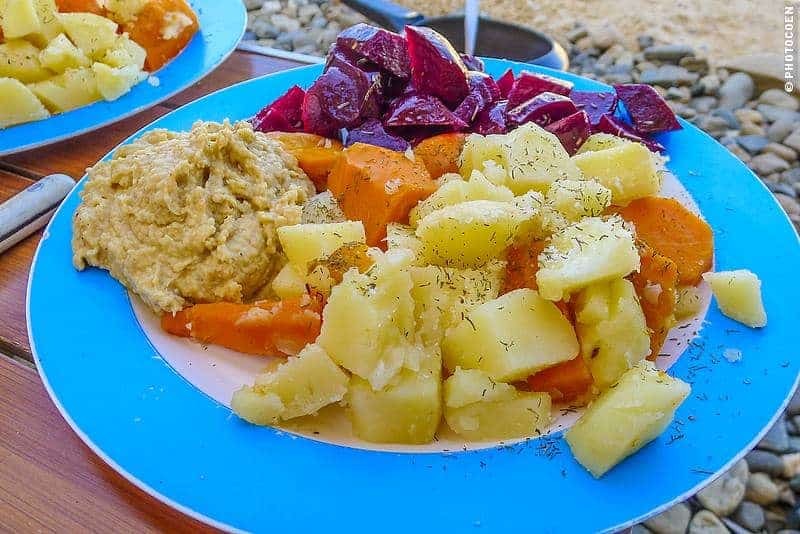 In the Andean countries, they have dozens of different types of potatoes, giving plenty of opportunities to experiment and try typical local foods. I keep the stem and leaves of broccoli and cauliflower separate to make soup. More about that in a future post. By e.g. 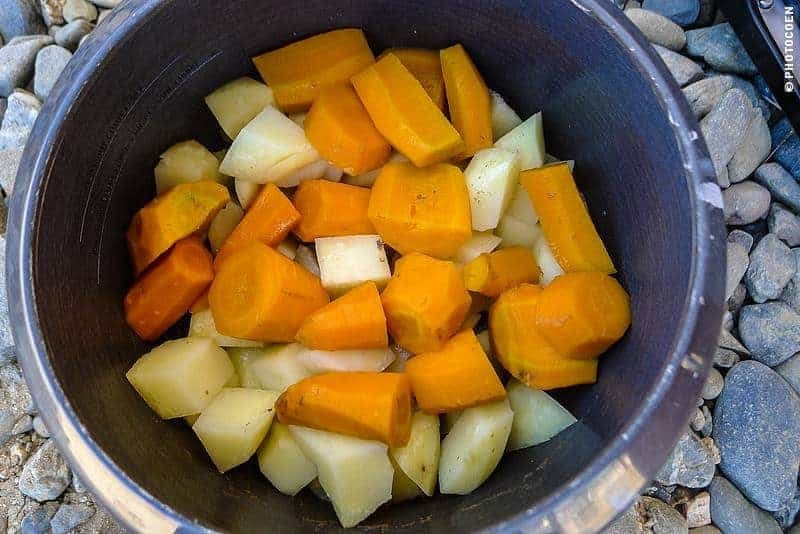 cutting potatoes in very small chunks and the carrots in big chunks, I can put them in the pressure cooker together, steam them for 2 minutes and both are exactly right. What do we Eat With This? Sometimes a salad, e.g. tuna salad, sometimes humus or other legumes such as lentils. Any suggestions or would you like to share your experiences with the pressure cooker? Let us know in the comment section below! Gracias Karen! por tus fabulosas recetas estoy aprendiendo mucho! Abrazo Marisa desde Argentina!!!!!!!!!!!!!!!!!!! !